Henry and Marilynn Blackaby served in churches in California before serving 18 years in Canada where they saw many new churches begun. They raised their five children in Canada. It was also at that time that God taught the Blackabys the truths concerning walking with God that would eventually become the basis for the best selling book, Experiencing God. Although highly recommended, I came away disappointed with this book. The content was fine — Blackaby consistently presents the idea that to experience God, believers must have constant communion with Him. A real, living relationship. I agree completely. My issues were more with his writing style and the lack of concrete practical application. There were plenty of time where Blackaby seems to contradict himself, taking away from what was otherwise a good read. Matthew Henry is known worldwide in our time as the author of his famous commentary on the Scriptures. But far less known in our day is the fact that Henry was an emblem of faithful fatherhood during his lifetime. Henry took his duties as a father seriously - and it showed. 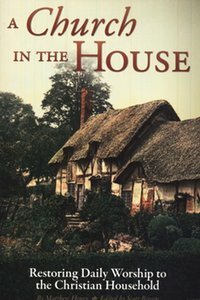 One observer noted that the Henry household was like unto the "gates of heaven" where he and his wife governed all family life by the Word of God. This is actually a longer sermon made into a short book. At 90 pages with generous spacing, it's an easy read to take in during one or two sessions. But it's a really good sermon! If you are a believer of Christ and have children, are you following God's desires to "bring them up in the training and admonition of the Lord"? This sermon is a great exhortation to turn your home into a place of worship and study of God. Henry not only outlines why it is needed, but gives some practical advice as well. 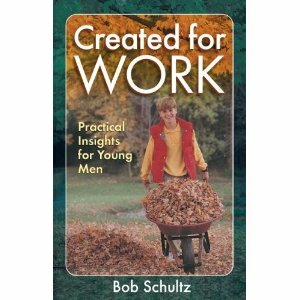 This short book is a quick read, full of shared stories from author Bob Schutlz. From each story he illustrates points he believes about how fathers should be raising their boys and how they should be trained to work as men. It's a simple read, but I appreciated it nonetheless. In a time when young men are seeking to 'find themselves', even into their thirties, it seems that we need to be reminded of our calling as men. This booked reinforced some ideas I had, but also helped me to get a better handle on the big picture for what it means to raise sons. With nearly 200,000 copies sold in its 25 years, Chosen by God by Dr. R. C. Sproul is a contemporary classic on predestination, a doctrine that isn't just for Calvinists, says Sproul. It is a doctrine for all biblical Christians. 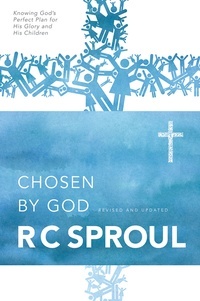 In this updated and expanded edition of Chosen by God, Sproul shows that the doctrine of predestination doesn't create a whimsical or spiteful picture of God, but paints a portrait of a loving God who provides redemption for radically corrupt humans. Making complicated ideas simple is not an easy task. Sproul does a great job of breaking down the concept of election into more easily digestible pieces, without dumbing it down. He covers the basics of predestination, while delving slightly into the history of the doctrine, presenting the different thoughts from both sides. Sproul does proclaim his belief in the ideas of Calvinism though, and states why he believes the Bible supports the Calvinistic way of thinking over the Arminian. But he does so in a friendly, non-confrontational manner, which is refreshing approach in this debate. I greatly enjoyed this book and recommend it to anyone interested in the topic. 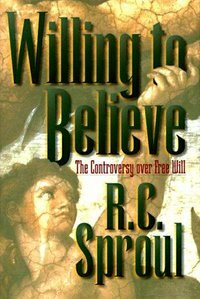 In Willing to Believe, R.C. Sproul traces the free-will controversy from its beginning in the fifth century to the present, delineating the nuances separating the views of Protestants and Catholics, Calvinists and Arminians, Reformed and Dispensationalists. In Willing to Believe, Sproul takes a different approach than in Chosen by God. Here, he focuses on presenting the different thinking of various men through the last 2,000 years. From Pelagius and Augustine to Luther, Calvin, and Arminius and right up to Lewis Chafer, Sproul presents the beliefs these men had on the concept of free will, which is really the key point that is the hinge of a believer leaning towards predestination (Calvinist) or free-will (Arminian). 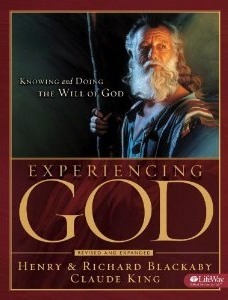 Sproul takes some space in this book to exert his own thoughts and feelings on the matter. But for the most part, it's a narrative on the history, outlining the ideas and beliefs of the men most influential to this doctrine. Another enjoying read. When Jordan died in 2007, all feared that these concluding scenes would never be written. But working from notes and partials left by Jordan, established fantasy writer Brandon Sanderson stepped in to complete the masterwork. With The Gathering Storm (Book 12) and Towers of Midnight (Book 13) behind him, both of which were # 1 New York Times hardcover bestsellers, Sanderson now re-creates the vision that Robert Jordan left behind. It's hard to imagine the end of this series. I've been reading it since my junior high years … over half my life. Now that it's over, the feeling is bittersweet. Whatever longtime fans feel about the conclusion of the series, it doesn't change that fact that it's the best story I've ever read. The series finale was fast paced, perhaps a little too fast paced. But it is the Last Battle, armageddon in this world. Many questions are answered, some are not. Most major characters survive, but one of my favorites does not. Overall, it was a satisfying end to the story. I'll probably have a better opinion after a slower second read, but I'm glad to have had the opportunity to enjoy this story over 3 decades. This penultimate novel of Robert Jordan’s #1 New York Times bestselling series--the second of three based on materials he left behind when he died in 2007--brings dramatic and compelling developments to many threads in the Pattern. The end draws near. If you're into epic fantasy, there is no series I can recommend more than the Wheel of Time. 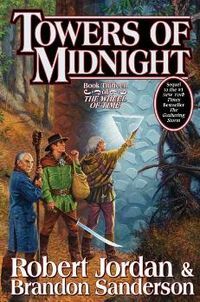 In Towers of Midnight, Sanderson's second release of Jordan's material, many of the threads of this saga come together. And the same time, a few new wrinkles and mysteries are added, leaving me longing for the series conclusion early in 2013. To be clear, Sanderson and Jordan are different writers with different styles. This comes through again in ToM. But it hasn't taken away from my enjoyment of the last two books in the series. There's enough of Jordan left in the writing to satisfy the long time fan.